Every business area has a set of tools that are needed to allow professionals succeed in their trade. The online business world is in no way different and it also requires different components to work. It is easy to differentiate between online business and brick-and mortar one. It is often said that online businesses require fewer or even no paid staff. Business owners can operate from their home and they don’t need to spend huge advertising budget. Although online business can be a one-man show, people still need components that can help them attain their business goals. There are tools that we need to properly compete against other business professionals. Without even one of these tools, Internet businesspeople won’t be able achieve success in a reasonable measure. Website is probably the most important component of online business. It is possible to make online sales just by using social media, classified ads, web banners and such, but websites are still considered as a primary storefront. It is where our brands are established so we can succeed. With classified ads, we should be able drive traffic to our website, allowing us to boost sales further. With website, we have more flexibility in determine what consumers should see and how they see our products. We can add more products and services at will. We may also perform split test to know where our customers are usually coming from. Money is always in the list and mailing list is another tool that can help us achieve marketing success. If we don’t have a list of subscribers as potential consumers and we aren’t planning to build one, then our online business is doomed from start. No list means no sales. List should provide us with the ability to target highly potential buyers who could be interested with our products. Having a good relationship with people in the lust should make a difference between making sales in trickles or in floods. We may use dedicated employee to provide personalized relationship or auto-responders if we want to send out recommendations, offers and email notices about product launches or something similar. Blog is also an important tool and it is generally different than a normal website. With blogging, people expect to get new updates and information about specific subjects. If our information is interesting enough, we should be able to attract loyal audience. Popular blogs can be a good way to build a list of subscribers who can be converted into real buyers. Our blog content should be regular and relevant. 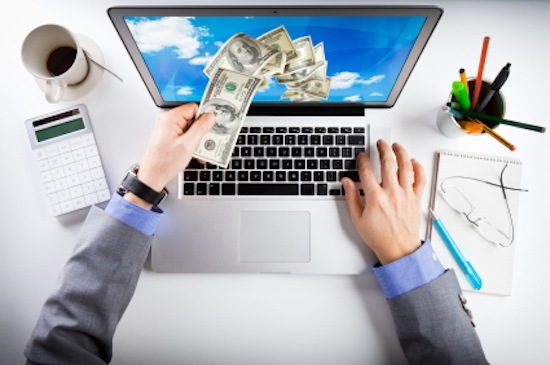 Online business also requires a good payment system. It should accept major credit cards with simple processing method. Customers shouldn’t be required to submit too many details, which make the transaction process too troublesome. If it happens, customers could switch to other sellers who offer easier ways to purchase products. Affiliate management system should allow us to manage both marketing and products when performing online business.